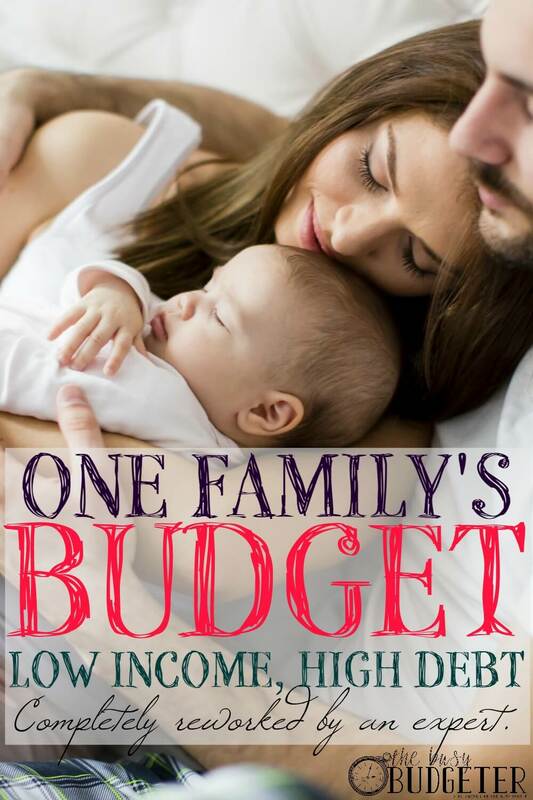 One Family’s Budget with Low Income and High Debt, Completely Reworked into a Long Term Financial Guide by an Expert. 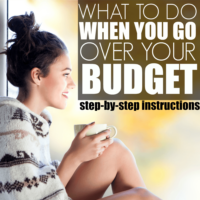 One Family's Budget with Low Income and High Debt, Completely Reworked into a Long Term Financial Guide by an Expert. *A huge thank you to Wela for partnering with me on this post and making this project possible! If you’re drowning in debt and struggling to get out of the paycheck-to-paycheck cycle, you need a long-term financial guide. This helps you see where you are, what your strengths and weaknesses are, and gives you a clear image of where you want to be. A long-term financial guide is something that we created early on in this journey and it helped us through those tough early years where we felt like we’d never get ahead. This type of guide also spurs you to recognize and problem-solve where your biggest weaknesses are. For instance, if you have a problem with not making enough income and living in a high-cost area, you can reduce your spending all you can and you may still struggle. But if you can brainstorm ways to increase your income or move to an area with a lower cost of living, boom. Now you’re thriving! Without a long-term financial guide, it can be hard to see the whole picture. 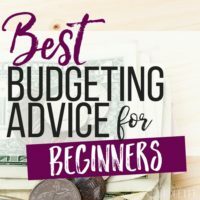 So, we started a new series with budgeting powerhouse Wela (you can grab their free budgeting tools here). We’re choosing readers to open their hearts and lives (anonymously, of course) and tell us their situation so we can give them a step-by-step, long-term money guide to get them where they want to be. My hope in doing this is that it inspires you to create your own long-term money guide! And if you want to be considered for our next long-term financial guide case study, you can sign up here by emailing us. In the meantime, you can start your own money transformation in our completely free 90 day Budgeting for Beginners Boot Camp here. It’s not just about money. One of the biggest mistakes I’ve seen in creating long-term financial guides is that people believe it’s just about money. It’s not! You have a basic skill level. How organized you are, how well you cook, and what you know about batch cooking and meal planning are all things that will affect your finances. Your life affects your money. So once people get to thinking it’s all about the money, they swear they’ll get their money under control, but fail to understand how closely their daily routines affect that. To be clear, this isn’t a quick-fix, change-you-in-three-months plan. That’s because the average person would fail that miserably. We see so many stories like that because they’re sensational and they “sell” really well. People buy into creating that change. I’m sorry to tell you that, unless you have better-than-average willpower, we’re not going to be able to change everything about your life in 3 months. But that’s exactly why a long-term financial guide is so important. If you want to improve your financial habits, you need to understand that it’s a long-term process. You need to see where you’re heading, where you’ve been and know at any given point that you’re right on schedule in learning the skills you need. You need to see the progress you’ve made and feel encouraged that things are different. Because that’s what this is all about: knowing that you’ll never be in this situation again. *all names and identifying information have been changed. Additional information: James and Amanda feel very strongly about not putting their son in daycare. Because Amanda works about 20-30 hours per week on blogging, Saturdays as a nurse, and their family has designated Sundays as family day, there is no room for her to work any more than she does. Assets: They own a car that’s financed, for which they owe more than it’s worth. The car is currently worth $10,126 and they owe about $18,000 on it. Savings: One savings account with a balance of $25. Retirement account: One, started in February with a balance of $500. Retirement offered through jobs: James will get retirement with the military, but as he just started, he’s not eligible yet. Amanda wants to ultimately quit her job at the nursing home and be home with her son blogging full-time. James wants to have a career in the military. To advance, he says it’s important that he passes tests and he isn’t a great test taker, but also says he’s a hard worker so he’s sure advancement opportunities will come. Credit card: $989.56 at 0% interest for now. $25.00 is due by the 13th. It’s current. Loan (consolidation): $6,845.93 at 10.44% interest, $180.00 is due by the 10th. It’s current. Line of credit: $4,990.97 at 13.5% interest, $100.00 is due by the 20th. It’s current. Student loan #1: $16,226.15 at 10% interest, $192.00 is due by the 13th. This bill is technically current, but it’s in forbearance that will end in December. Note: Forbearance means that she’s paused her payments for now without penalty but will have to resume them when it ends. Student loan #2: $16,484 at an unknown interest rate, $85.66 is due by the 23rd. This one is also in forbearance that will end in June. Dodge Car payment: about $18,000 (unsure of exact amount) at 20% interest, $394 is due by the 15th. It’s current. Rent: $1,183.00 due by the 15th. Car insurance: $130 due by the 25th. National Grid Electricity:­ They are behind on this bill. They pay what they can each month to show intent to pay, but about $400 in unpaid balances is currently owed. $130 is due by the 20th. To quote Amanda, “My husband is the worst with this! I often have to take his debit card away from him because he won’t stop buying things from the base cafe.” She reports that they’ve tried the “$20 weekly allowance and then you’re done” trick, but once he was done with the $20, he would just go back to using the card. She says that this amount is slightly less than their usual because James was recently away for a short trip with his parents. Usually, the bill is about $500. They have recently decided to move to an apartment closer to base to try to cut down their fuel expenses, as James is currently traveling about 2 hours per day. They went on a short trip this month where they went shopping at the outlets. Most of this money was spent on next season clothes for their son. They report typically spending about $20 or less on clothes each month since she tries to buy an item or two each month for her son for the next season. That way, she doesn’t have to buy a lot at once. This amount consists of $13.90­ for a toy from a consignment store, $18 for a­ teething toy and popsicle mold for their son, and $2.00 on­ Canva stock images. Amanda buzzes her husband’s hair, and her mom (a professional hairstylist) cuts hers. Any big changes coming up? They are moving to a different apartment, but the rent is about the same. They chose the only 2 bedroom apartment that they could find that was both affordable and allows a large dog. Unfortunately, they have to get rid of their other dog due to breed restrictions, which Amanda is heartbroken about, but says they’ve hopefully found him a really good home. By making this change, the couple hopes the reduction in fuel costs will improve their situation. The other big change is that the couple is currently expecting their second child. They have no concerns about making use of hand-me-down baby equipment like high chairs regardless of gender, but they will want to buy new clothes if it’s a girl. They are hoping to build a diaper stockpile again, and also hope to not have to spend money on formula. Amanda is in charge of laundry and it’s always behind. James and Amanda share dishes duty and it’s not usually behind. Amanda does the cooking, and they eat out 2-3 times per month. They don’t have any special dietary requirements, although Amanda prefers to eat low carb. She sometimes meals plans, and Amanda and her mother are starting to work together to create some freezer meals. She goes grocery shopping biweekly. While this guide reflects my opinion of the best moves in your current situation, it is meant to be a reflection of what I would do in your situation, taking into account all of the information that I know. Only you can decide if the changes are right for your family. You are responsible for any changes (or lack thereof) that you make. You can use Wela to determine your net worth for free and to help you see the changes in your finances over the next few months and years. Wela is my favorite place to do this because they give you an electronic record of how you’re changing as you go and they give you a powerful budgeting database to back you up. You can get a free Wela account here. So right now, Amanda and James have an income that totals $2,960 per month. If you add all their reasonable expenses up, you come to a total of $3,338 per month. So, every month that they don’t increase their income or reduce their spending, they’ll be adding $378.54 of debt, not mention a ton of emotional drain and stress. Their current debt total right now is $63,536.61. Amanda and James don’t have a spending problem – they have an income problem. 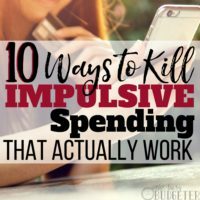 While some of their spending can be reduced (most notably the apartment and the car), their spending isn’t out of control and they aren’t struggling with simple routines (like meal planning and groceries). Their biggest problem is that they make a little less than desired in order to make headway on their current debts. Because James’s ultimate goal to have a military career, they have less control over his income. He’s already working extra hours part time as a police officer. He can attempt to negotiate a raise for his police job, but usually, government work has a pay structure that’s non-negotiable. So, our focus will be on Amanda. Amanda is sitting on an untapped resource. She started blogging 3 months ago and, thanks to an innate understanding of graphic design, has a website that looks as professional as mine (which cost me $450 to create!) and is creating amazing pinnable images for her blog posts. In just 3 months, she’s gotten over 1,000 email subscribers, has 26,000 pageviews a month, and has already booked her first paid sponsor. That’s remarkably fast growth for a brand-new blogger. More importantly, her graphic design skills are in high demand by professional bloggers, who will usually pay about $10 an image (which takes Amanda about 15 minutes to create). September (This Month): Focus on quick income. Our goal this month is for Amanda to clear an additional $400 in helping professional bloggers with Pinterest graphics and $40 from implementing the Core Affiliate Strategy. That equals a total of 40 pins or about 10 hours of work. Amanda is currently spending 20-30 hours/week blogging, and should take that 10 hours out of her blogging time, accepting slightly slower growth for immediate money (and the benefit of networking with larger bloggers by working directly with them). I’m also giving her a copy of the Core Affiliate Strategy for free, which will show her how to turn her email list into a source of income while helping her readers. At an absolute minimum, the number of subscribers she has should be making her an additional $40/month. See also: How Do Bloggers Make Money? From now on, we’re going to keep that goal income steady. They will likely surpass this in a few months with the blog growth she has experienced, but I want them to keep their expectations low and only count on the income they can get their hands on immediately. I gave Amanda advice on how to market her skills for Pinterest graphics using Facebook VA groups, contacting successful bloggers that are new to Pinterest (usually male bloggers with a strong SEO foundation), and even reworking poorly designed pins she finds and contacting the blogger with the new design. The only change in your expenses this month is to cut your grocery spending by $40 – most likely by eating out one less time this month, because that would be easiest! This will go to the outstanding electric bill and have that caught up. *Whoosh*. Huge sigh of relief. October: Change your housing costs. Income: $2,960/month, plus our goal this month is for Amanda to continue to clear an additional $400 in helping professional bloggers with Pin Graphics and $40 from implementing the Core Affiliate Strategy. Again, we want to reduce food expenses by $40 this month. Amanda told me that they were moving closer to her husband’s job, but into an apartment that will cost them around the same amount as before ($1,200). He’s currently commuting an hour each way to work, so this move will save them on fuel costs. She said she needed an apartment that expensive because she has a dog that will need to come with her, and apartments that will accept a dog are limited. She expressed that she was heartbroken because she would already have to give up her second dog (a German Shepherd) because she hasn’t found any apartments that will allow that particular breed. I know that dogs are a part of the family, but I also know that this is a very temporary situation. I’m finding private rentals (homes and townhouses) in great areas (with a good school district) for less than $850. Depending on the market, it’s often easier to rent a private home with average credit than it is to rent an apartment complex, because a private owner whose house is possibly underwater can’t absorb the lost income of a unit being empty for months. My first recommendation is to start searching those private homes carefully and negotiating with the owners to let you keep your dog. Even if you have to pay a $500 deposit to keep the dog, you’ll be way ahead of the game for a year. I would offer a $500 pet deposit, a 2-year rental agreement (owners love 2 years because it reduces the stress of having to find someone else next year!) and, if needed, an additional $25 per month “pet rent” for a private rental under $850. In the meantime, talk to their current apartment complex and ask them about continuing your lease month-to-month. This usually has an extra upcharge, but it may be worth it if you can save $350/month on housing to live in a better environment. I know you’re concerned with your credit report. However, with a credit score over 650, you’re still in the “fair” range. While things could be better, they could also be worse. One of the biggest issues I see is when people think they’re undesirable and don’t even try. If you have a recommendation from prior landlords and are willing to negotiate on higher rent, a higher down payment, or a longer lease, It’s important that you try. Don’t go into this embarrassed about your situation and hoping that no one notices. If you do that, then you automatically will pay an extra $350/month in order to squeak by in this apartment. If you can’t make headway with the dog, talk to your mom (who lives locally) to see how she would feel about keeping the dog for 2 years until you can get ahead. **Warning to readers- Dogs and cats are a HUGE liability when your apartment hunting and will likely cost you several thousand dollars a year. If you don’t already have them, wait to get them until you own a house. November – Build an Emergency Fund. We’re not changing your totals here, but we’re changing the categories. I’d like to see 0 for entertainment and 0 for clothing, and put that $124 towards moving expenses like packing tape and a rental truck. You can get boxes on Craigslist for free if you start looking now! Also, moving days are usually hectic and involve some eating out, so now is not the month to reduce your food budget. 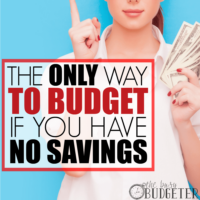 Why not reduce expenses like groceries now? Because we’re looking for the biggest impact for the least amount of work, and right now we can potentially save $350/month on your housing. Maintain speed and course in other areas and make the changes that will give you the biggest impact. This is also the reason I’m not looking at changing expenses like car insurance, etc. Right now, it’s just not worth your time, because if you try to change too much at once, you’ll feel overwhelmed and are more likely to give up. This is being covered by money that Amanda is getting back from a prior transaction. We now have an emergency fund! Stick that entire balance in a hard to reach savings account and promptly forget that it exists. When disaster strikes, still don’t touch it! Reduce your spending, increase your income and figure out a way to make it work. We always find a way to make it work and we never touch that emergency fund. December – Fill Out Emergency Fund and Pay Off Debts. Income: $2,960/month, plus our goal this month is for Amanda to clear an additional $600 in helping professional bloggers with Pin Graphics and $100 from implementing the Core Affiliate Strategy. (this is about 15 hours worth of Pin graphic design in a month and a very modest growth curve for your email list, which you will likely surpass). Leave the total the same, but let your family know you’re doing a $10 Christmas this year and switch $50 from clothes into money for Christmas presents. We’re transferring $327 to finish out your emergency fund to the hard to reach bank account. Then we’re paying the additional $414 to your credit card (which will have a balance of about $949 by this point) leaving you with a CC balance of $535. January – Finish paying off credit card debt. Income: $2,960/month plus, our goal this month is for Amanda to clear an additional $600 in helping professional bloggers with Pin Graphics and $100 from implementing the Core Affiliate Strategy. We’ll be paying off your credit card balance of $535 this month, which leaves us with $206. That $206 should go toward your line of credit, the balance of which should then be $4560.72. February – Let’s talk about that car payment. Income: $3,043/month (this reflects an additional $83 for James’ pay raise), plus our goal this month is for Amanda to clear an additional $600 in helping professional bloggers with Pin Graphics and $100 from implementing the Core Affiliate Strategy. This entire balance should go toward your line of credit, which will then be at $3638.79. Now let’s talk about that car payment: We need to get rid of it. James isn’t commuting 2 hours a day anymore since you moved and the interest rate is so high that it’s making your payments really hard to manage at almost $400/month. Unfortunately, because you owe so much more on the car than it’s worth, there isn’t a good way out of this. And it’s possible that there isn’t a way out of this right now. I want you to try to find a loan at least 5% under what your current car interest rate is and see if you can get approved for an 8,000 loan. This will likely need to be a personal loan instead of a refinance since you owe so much more than it’s worth. If you can get approved for the loan, then sell the Dodge in a private sale and hope for $11,000. Then pay off the loan, which has about $16,200 left on it at this point, and use the rest of the personal loan to purchase a car that’s under $4,000. A $4,000 car is not a “beater”. It’s just cheap. We bought a 10-year-old minivan 4 years ago for $5,000 cash, and it’s still going strong with no serious issues. At this point, it’s cost us $1,250 per year that we’ve owned the car. The world is full of people driving 10-year-old cars and the only difference is that they don’t have $400/month car payments. By using this plan, your expenses would be reduced by $200 a month (the new loan will likely have a monthly payment of $200), and your debt by $10,000 in a single day. But what if I just drive the Dodge for 20 years? Then wouldn’t selling it now be a horrible mistake and a waste of money? There’s definitely a mental block here. People don’t like to think that they’ve made a mistake. This car was a mistake. A big one. If you keep the car, then in the next 7 years, you’ll pay $33,575.77 for the pleasure of driving a car worth $10,600 now (much less in 7 years!). Plus, your ability to pay down your debt will be severely hindered. Even if the car lasts you 13 years (which is today’s expected car longevity of 200,000 miles or 13 years), it will still cost you an average of $2,582.00/year. Even if we count the full $8000 and absorb the cost of lost money in the sale, we’d still be ahead. The yearly cost of the $8,000 loan for the $3,000 car (absorbing the $5,000 personal loan debt to sell the Dodge), would be $1,142/year. That’s over $1,000 less than you would have been paying. Any way you calculate this, you have to sell the car. Don’t let one bad past decision keep you from making good ones. And know that YOU AREN’T ALONE! After all, I was in the same boat 10 years ago. March – Focus on that line of credit. Income: $3,043/month, plus our goal this month is for Amanda to clear an additional $600 in helping professional bloggers with Pinterest Graphics and $100 from implementing the Core Affiliate Strategy. Apply all of this to the line of credit, which will leave you a balance of $2,555. This brings you through the next 7 months of your life. And brings you from financially stressed to financially empowered with a thriving business and a significant amount of money to throw at your debt as you go. This plan also gives low estimates for the minimum income I think you can easily make. The growth you’ve shown already on your blog means that there is truly no limit to your income and that you’re already on the right path. As you go through the months, when you make over the goal income, I want you to set aside 50% of the extra money for training (Elite Blog Academy launches once a year and is the best investment you can make… you can get on the waiting list here), for stock photo subscriptions, and for expansion (hiring help, etc.). I would expect your blog to be making full-time income (over $3,000/month) by next September. As exciting as that is, you don’t even need that additional income. This is your projected future with your budget staying as it is now…. June 2017: Line of credit paid off. December 2017: Loan consolidation paid off (by applying the total of your extra money and your old line of credit payment). May 2018: Your loan to replace the Dodge car is paid off (using the total of extra money plus all payments you’d previously applied to other lines of credit). October: 2019: Your second student loan is paid off and you are completely debt free. And you’ll be debt free and own your own house at the ages of 29 and 32. But what if I can’t keep to this budget for that long? You already are! We didn’t change your spending very much at all since you had an income problem, not a spending problem. And our predictions for your salary stopped at you making $900/month from your blog and never took James pay raises into account. You can do this easily, and will likely have a few trips to Disney with the kids and a pretty generous treat budget. This is to show you that even limiting your income to that (keep in mind I went from $18/month to over $20,000/month on the blog and your growth curve isn’t that far off from mine), you’re golden if you make the tough decisions now. It’s not easy to ditch the Dodge or accept a rental that doesn’t let your dog come, but right now you have the power of a happy, stress-free financial life at your fingertips, and the only thing standing in your way is yourself. Let’s picture this: When we started this journey, you had over $63,000 in debt and you were spending more than you made every month. You were afraid for your future. These two changes meant the difference between financial ruin and you being debt-free and happily living in the house of your dreams (well, my dreams in this case) in less than 4 years. And all because you grabbed a free Wela account and took control. Absolutely! I complete a new long-term financial plan every year at a minimum and I still project it out to 20 years. In addition, I draw up a new plan every time I make a major financial change (like buying a new house or an RV). Want to start your own long term money plans? Head over to Wela and take the first step! What are your goals for your long-term financial plan? *A huge thank you to Wela for partnering with me on this post, and for empowering people everywhere to look at the big financial picture. FTC Disclosure of Material Connection: In order for us to maintain this website, some of the links in the post above may be affiliate links. Regardless, we only recommend products or services we use personally and/or believe will add value to readers. Love seeing breakdowns/plans like this! Hope for the best for the family involved. I think they are going to have an amazing future! With a little bit of work, they will be in great shape! Great indepth post. It is so helpful to see figure broken down like this. Would love to check out Amanda’s blog, but did not see a link? It’s so interesting to see everything broken down like this! I love how you take it apart and attack it piece by piece. Great post! Wow, that is so cool to see how it all breaks down and makes it seem like the financial goals are attainable. Thank you for linking up at the #HomeMattersParty this week. This detailed breakdown is awesome Rosemarie and Mela! I agree that this is all about a lifestyle change and not just managing current debt as a quick fix. I would say debt consolidation loan could also be something in the long run.